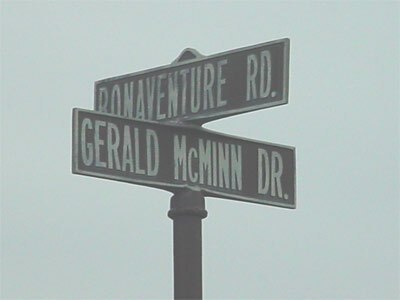 St. Bonaventure's Executive Staff finalized the names of the roads on campus in July of 1991. Archival records show the selection process beginning in 1990 with suggestions made by Leo E. Keenan, Jr. and Lawrence D. Ford, Sr. 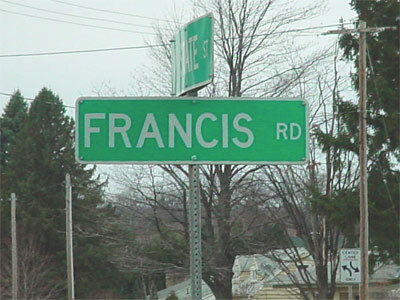 Approaching the University from the east (Olean) on Route 417, the first road is designated Francis for St. Francis. This road brings you past the townhouses in the Village of St. Anthony and leads directly to Francis Hall. 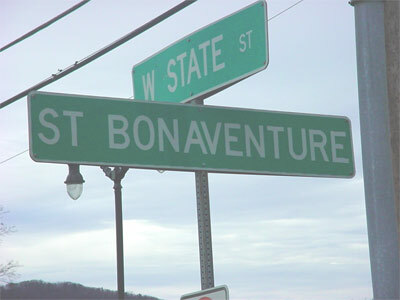 Bonaventure road begins at the tower entrance off Route 417. 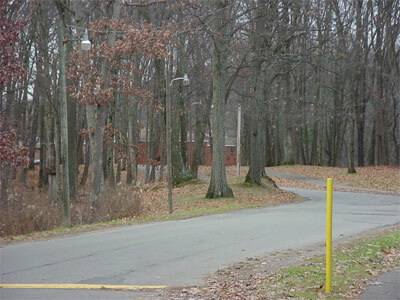 This road encircles much of the campus running past the Friary, around behind the Reilly Center, and exiting at the west end of campus. 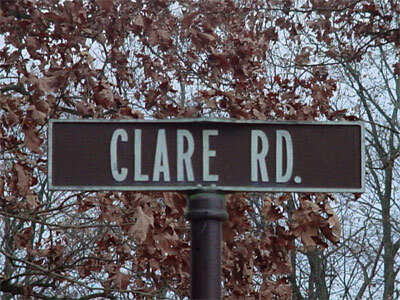 Clare Road, named for St. Clare, starts in front of Francis Hall at the intersection with Francis road and ends at the intersection behind Doyle Hall. A popular nickname for this road, known among students and faculty, is the "Ho Chi Minh Trail," which refers to the Vietnam War. 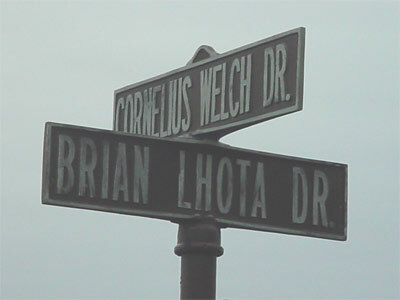 The road in front of Doyle Hall is designated Lhota in honor of Fr. Brian Lhota, O.F.M., a much admired deceased President of the school. Welch Drive is between Hopkins Hall and Devereux Hall leading to the intersection with Lhota Drive in front of Robinson/Falconio Halls. It is named in honor of Fr. Cornelius Welch, O.F.M., a former Vice-President of the school who spent almost his entire career at the school. In addition to his work on the academic side, he was one of the chief overseers of a building program which saw the construction of Robinson/Falconio Halls, Shay/Loughlin Halls, Mecom Center (now Murphy Center, Plassmann Hall, the Reilly Center, the Post Office, the alteration (major) of the Hickey Dining Hall, two additions to the Library, Francis and the Garden Apartments. The road in front of Hopkins Hall that intersects with Bonaventure Dr. and Welch Dr. It's name is in honor of Fr. Gerald McMinn, O.F.M. Fr. McMinn spent the better part of his life at St. Bonaventure University and helped the institution through the difficult years of the Great Depression and the fires of 1930 and 1933. Entrance from College Avenue to the Hickey Dining Hall and Devereux Hall. Named in honor of Fr. 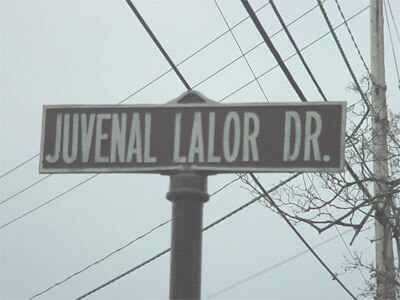 Juvenal Lalor, O.F.M., a deceased President of the school who is fondly remembered by many alumni. Fr. Juvenal was president with St. Bonaventure's College became St. Bonaventure University and helped make the decision to end the football program. Entrance from College Avenue, the road leads to the statue of the Blessed Virgin between Shay-Loughlin and the Hickey Dining Hall and points directly to the Friedsam Memorial Library. Hence the name is in honor of Fr. 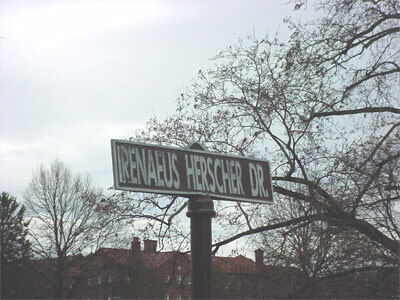 Irenaeus Herscher, O.F.M. Fr. Irenaeus was the longest serving librarian at the school, who ably represented both the University and the ideal of the Friars.